The Door in the Wall. "...The Door in the Wall was a real door leading through a real wall to immortal realities..." (H.G. Wells, The Door in the Wall). 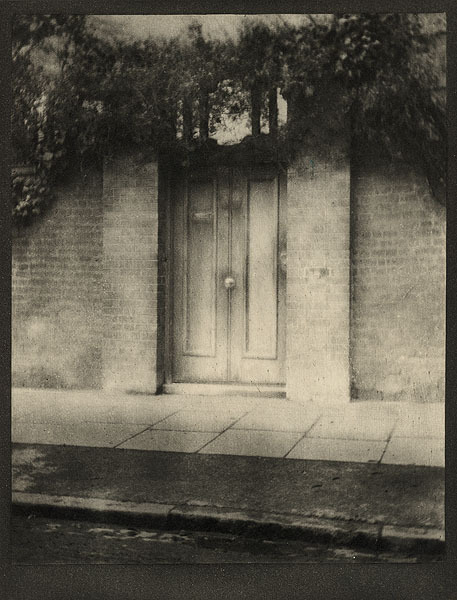 One of those immortal realities is that the photogravures by Alvin Langdon Coburn illustrating The Door in the Wall and Other Stories, a collection of eight short pieces by H.G. Wells, are amongst the most beautiful to ever grace a book. Born in Boston, Coburn (1882-1966) was a prodigy. When he was eight years old he was given a little Kodak camera. He fell in love with it. 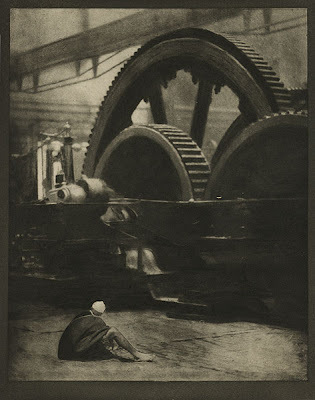 Within just a few years he demonstrated a precocious talent for visual composition and darkroom technique. 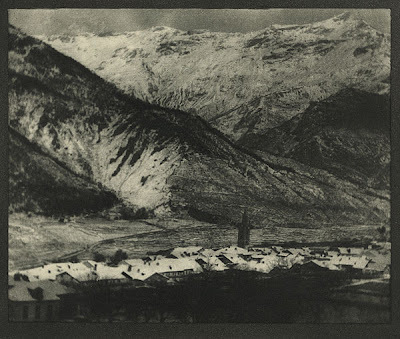 At sixteen he was encouraged to make photography his career. 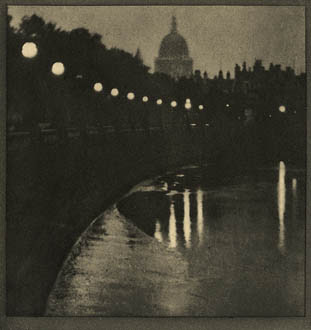 At seventeen nine of his photographs were exhibited in London. He studied with Edward Steichen, Robert Demachy, and, later, with Gertrude Käsebier. 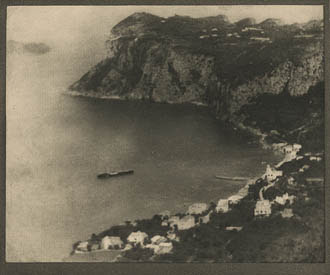 Alfred Stieglitz began publishing Coburn prints in Camera Work. He had one-man shows in the U.S. and Europe. By 1907 George Bernard Shaw, who had posed for Coburn, declared him "the greatest photographer in the world." Alvin Langdon Coburn was twenty-four. Edge of the Black Country. 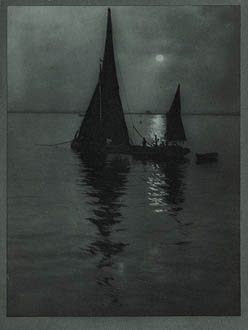 A master of Pictorialism, he was firmly a part of the Photo-Secessionist movement. As the second decade of the twentieth century wore on he became increasingly interested in abstraction. 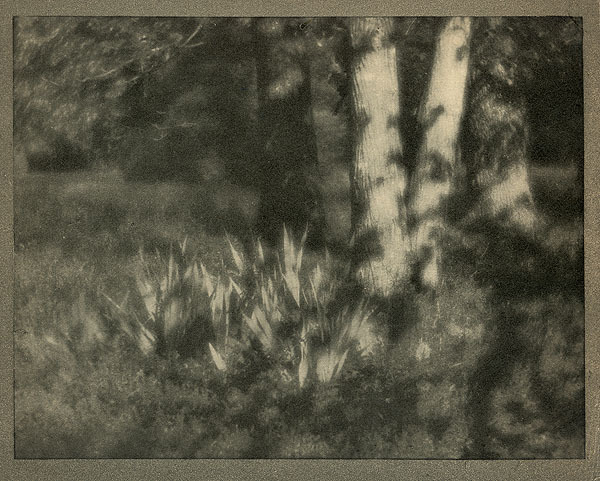 His fascination and deep involvement with spiritualism drew him away from photography; by 1930 he was almost completely removed from it. Convinced that his past was just that, he destroyed over 15,000 glass and film negatives, almost his entire archive. The Door in the Wall is considered to be Wells' best short story, its theme of science v. imagination as fresh today as it was when originally published. 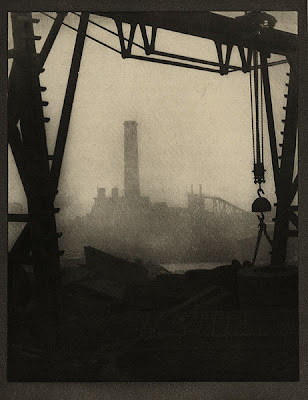 Retired from photography for the last thirty-six years of his life Alvin Langdon Coburn is today, unfortunately, remembered only by the photography cognoscenti. Yet his photographs - certainly these - remain technical and artistic achievements amongst the most important, influential, and hauntingly evocative of his era. WELLS. H[erbert]. G[eorge]. COBURN, Alvin Langdon (photog.). The Door in the Wall, and Other Stories. 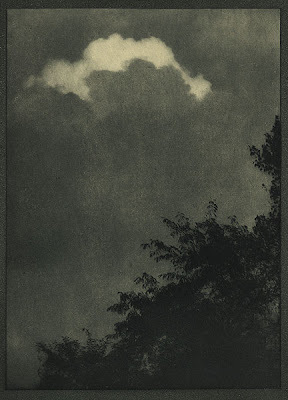 Illustrated with Photogravures from Photographs by Alvin Langdon Coburn. New York and London: Mitchell Kennerley, 1911. 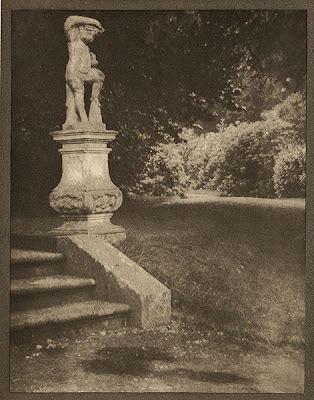 First edition, one of 300 copies (of a total edition of 600) containing all ten photogravures; the remaining 300 contained only one photogravure, the other nine as aquatone (a half-tone process) reproductions, or all ten in aquatone. Small folio (370 x 262 mm). iv, 51,  pp., printed on French hand-made paper. Ten hand-pulled and mounted photogravures "from plates prepared by the artist and printed under his personal supervision." Quarter tan cloth over reddish-brown boards with printed spine label. Contains: The Door in the Wall; The Star; A Dream of Armageddon; The Cone; A Moonlight Fable; The Diamond Maker; The Lord of the Dynamos; and The Country of the Blind. Cary 70. Truthful Lens 184. Images courtesy of Art of the Photogravure.